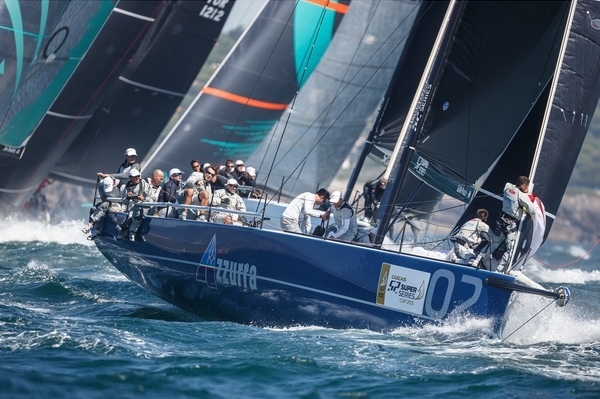 Azzurra clinched the 2015 52 Super Series title today at the Cascais Cup, reaching their mathematical finish line with a day to spare. 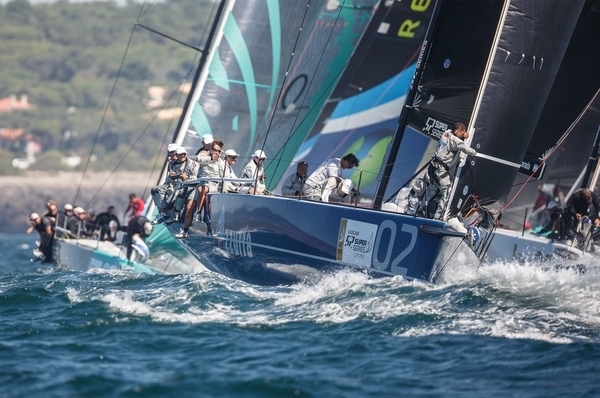 Their points margin over 2014 champions Quantum Racing rendered them unbeatable. It is the second time that the crew which wear the emblematic colours of the Yacht Club Costa Smeralda have won the overall title after triumphing in the circuit’s first year in 2012. With a maximum points yield of 26 from a possible two races Sunday, the crew lead by skipper-helm Guillermo Parada with tactician Vasco Vascotto have a points aggregate of 168 points, 29 points ahead. 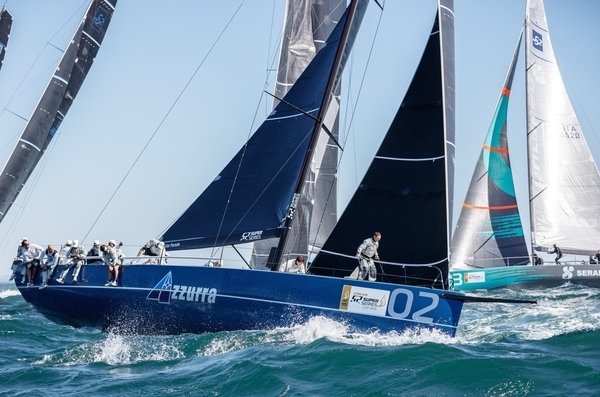 Azzurra complete the TP52 class’s dream double adding the 2015 Series title, won over five months and five regattas to the TP52 World Championships title they took with a runaway victory in Puerto Portals, Mallorca in July. 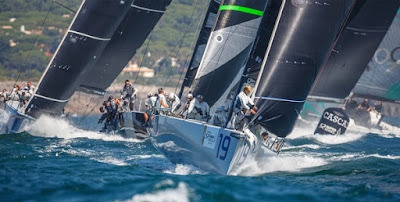 Azzurra have won two regattas this season, the Settimana delle Boche on their home Costa Smeralda waters in June and the world title. 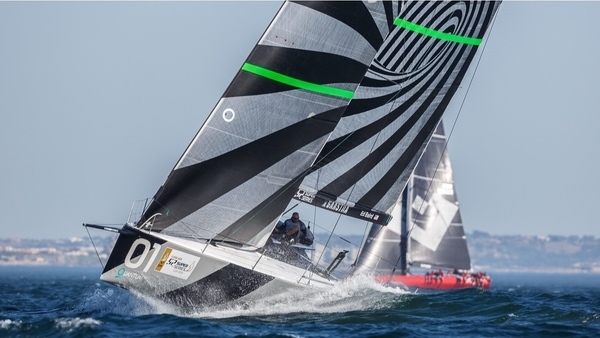 And they remain firmly in the fight for a third, now lying four points behind Quantum Racing with one day of racing left at the Cascais Cup in Portugal. Theirs is a triumph attributable to a complete team effort, from the unflinching support and passion of the Roemmers family to an excellent technical design and build programme, experienced sailing team the line-up of which was tweaked very slightly for this season with some key additions, and a committed and talented shore team which has ensured their programme has been breakdown free for the whole season. “The job is done. I think that this team is a real team, for number one (reason why they won). The team is a team that has stayed together for many years, we have a couple of new guys on board but the heart of the team is the same for many years. 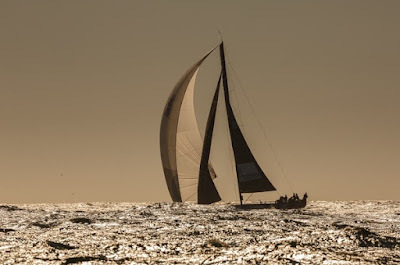 The Roemmers family and Guillermo Parada the skipper are the key of this success and the crew work is always fantastic,” Vascotto said. “We have had, maybe today, a couple of mistakes but I think that that is something that comes out just when we had found out that the work was done. It’s the classic mistake that when you have done the job, you have done what you need to you are relaxing a little more. But, again, today is about today and winning. I cannot have a different emotion than happy after the season that we have done,” he added. 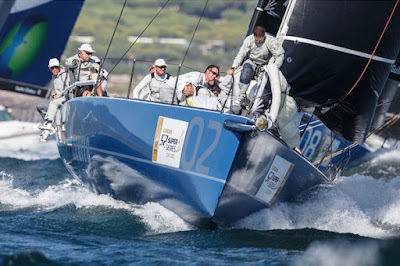 Their substantial and prolonged celebrations remain on ice as Azzurra seek to finish with their preferred flourish. Vasco Vascotto admitted later that the high emotion attached to completing their task today contributed to a less than perfect pair of races today. After two wins Friday today they could only make a fifth and tenth today. Up against Quantum Racing’s 1,3 from the two windward-leeward races today, contested in 15-18kts, slightly smaller seas and beautiful sunshine, Azzurra will start the final day of the season looking to overturn a six points deficit. 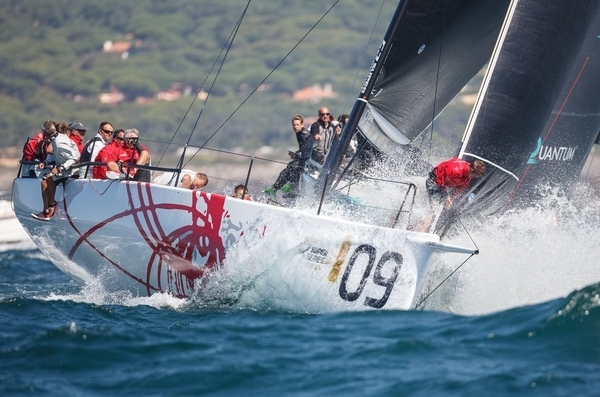 The impetus is the with the 2014 champions who are seeking to add their second regatta title in a row after winning the showcase Copa del Rey MAPFRE last month. The battle for third overall for the season twists and turns. Platoon and Bronenosec were both over the start line in Race 7 and had to return and restart together. 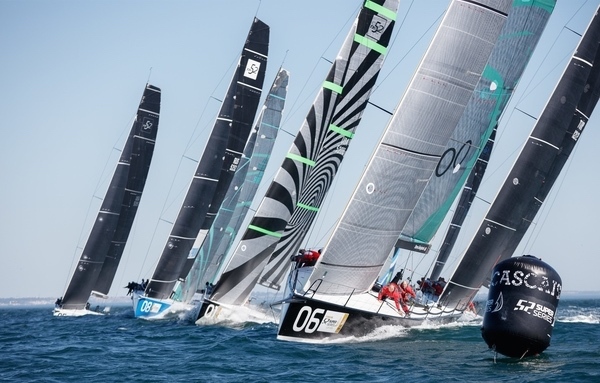 That seemed to let key rival Sled off the hook, but Takashi Okura’s crew fouled Alegre on the approach to the leeward gate and were forced to take a penalty. Platoon finished seventh, Bronenosec eighth and Sled ninth. 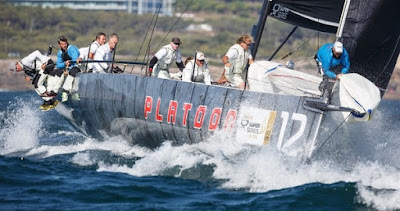 Platoon maintained their advantage after Race 8 and Harm Müller Spreer’s crew go into the last day of the season with a lead of six points ahead of Sled with Bronenosec one point behind. 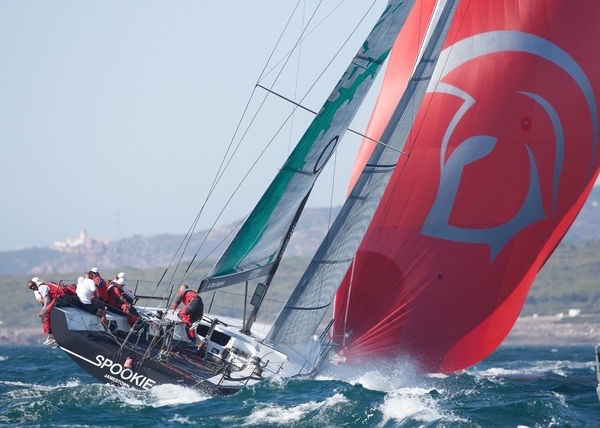 And the podium challenge for the Cascais Cup is wide open too after Provezza complemented their Friday aggregate of six points with a five points tally today, now lying third four points up on Jim Swartz’s Vesper.